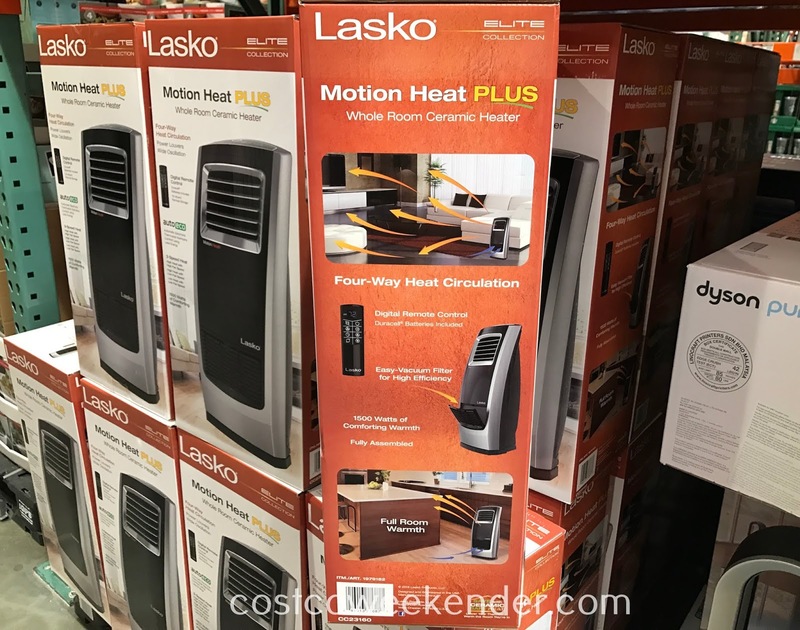 I know that it's not even winter yet, but it's never too soon to prepare for the upcoming cold weather. 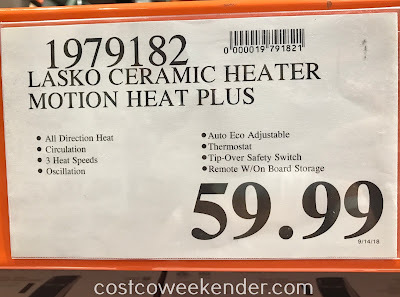 If you don't already have one, then you should get the Lasko Whole Room Ceramic Heater. 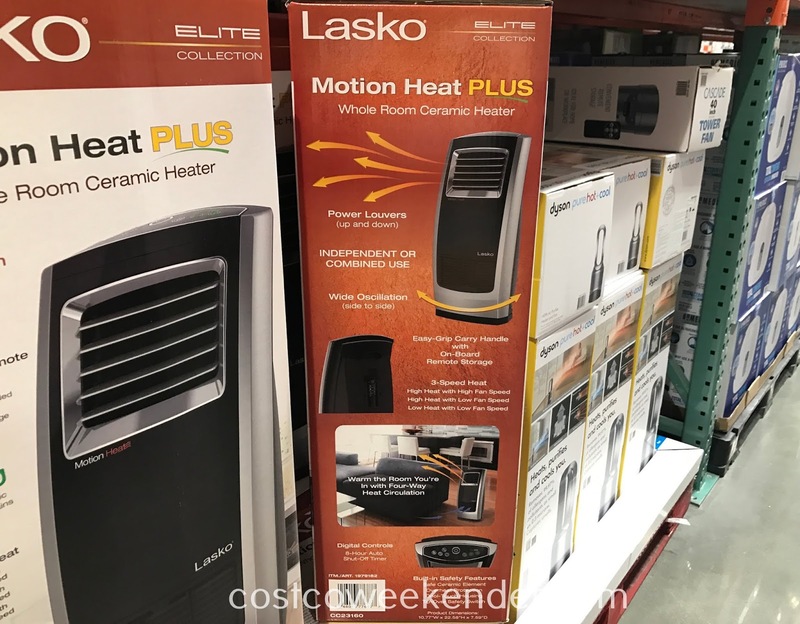 It'll heat up the room you're in when the temperatures drop. This is way better than using your home's central heater since you don't necessarily need to heat up the whole house if you're only in one room. 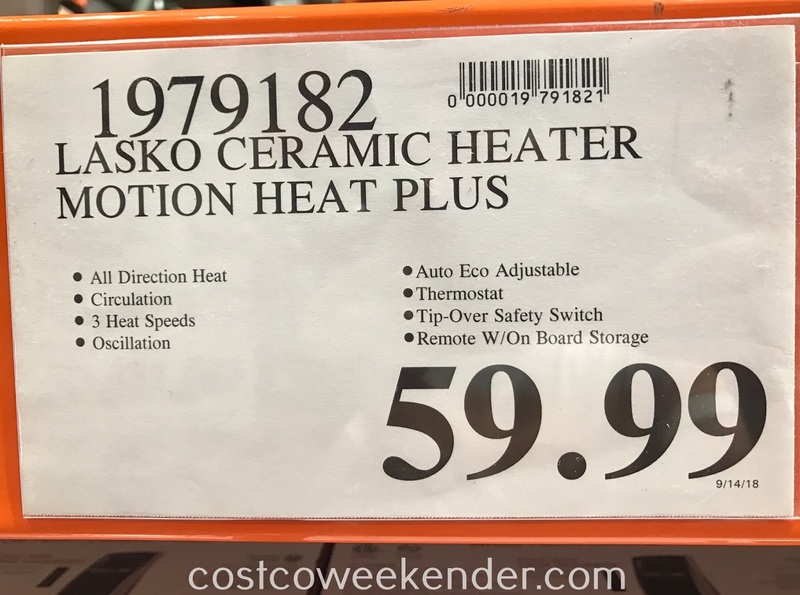 This in itself will save you money in energy costs. 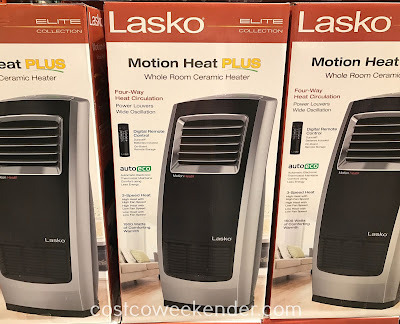 The Lasko Motion Heat Plus Whole Room Ceramic Heater is perfect for your home for the winter and will be sure to keep you and your family warm in the middle of a blizzard.